Mace Windu as he appeared in Attack of the Clones. Lucasfilm Ltd. Photo by Sue Adler. Jedi Master Mace Windu is perhaps best known for being played by legendary badass Samuel L. Jackson. The actual character, however, is no less badass. Aside from serving as a leading member of the Jedi Council, Mace Windu pioneered and mastered a dangerous form of lightsaber combat, becoming one of the most powerful fighters in Jedi history. Windu was born in 72 BBY on the planet Haruun Kal. His race, the Korunnai, was a tribe of Force-sensitive humans being studied by the Jedi. After Windu lost his parents at a young age, he was adopted and trained by the Jedi Order. Windu's talent and strength in the Force earned him the title of Jedi Master and a seat on the Jedi Council by the very young age of 28. He later became second-in-command to Grand Master Yoda and recommended along with Yoda that Anakin Skywalker not is trained as a Jedi. If Yoda was the brain of the Jedi Council, Windu was its sword. His skills were unparalleled; perhaps the only two who could beat him were Count Dooku and Yoda himself. He was also skilled as a diplomat, serving as the Jedi Council's liaison with the Supreme Chancellor. In 22 BBY, Mace Windu led a strike force to rescue Obi-Wan Kenobi, Anakin Skywalker, and Padmé Amidala, who were being held captive by Separatists on Geonosis. Although he easily defeated the bounty hunter Jango Fett, the Jedi were grossly outnumbered until Yoda arrived with the Clone Army. The Battle of Geonosis marked the beginning of the Clone Wars, in which Windu served as a general. Windu had the rare ability to perceive shatter points -- fault lines in time and space. For example, applying force to the shatter point of an object could allow a Jedi to destroy an unbreakable material, and perceiving the shatter point of a person or event could give a Jedi information necessary to change the future. When Palpatine became Chancellor, Mace Windu realized that he was the shatter point for something important in the future of the Republic, although he did not understand what. As a fighter, Mace Windu created the seventh form of lightsaber combat: Vaapad, named after a creature whose tentacles moved so fast during its attacks that they could not be counted. Vaapad was a dangerous technique, taking its user close to the dark side in order to channel an opponent's anger and dark side energy back at him. Numerous practitioners of Vaapad lost control and fell to the dark side, including Windu's apprentice Depa Billaba. After the Battle of Coruscant in 19 BBY, the Jedi feared that Chancellor Palpatine would not let go of his emergency powers. 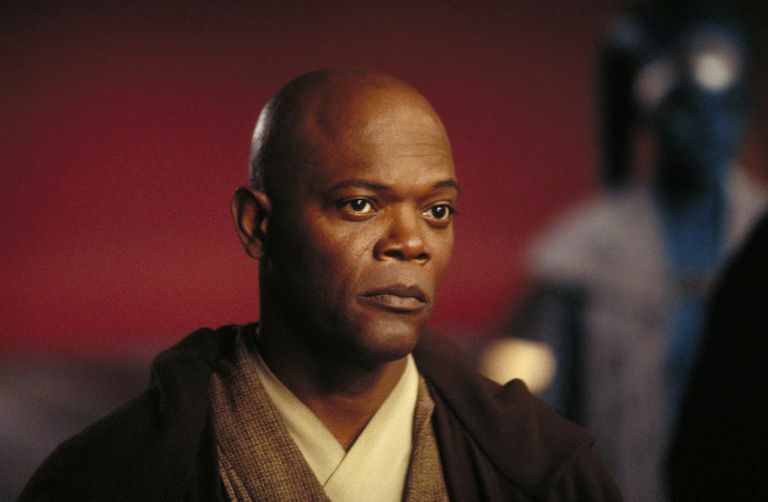 Windu believed that the Jedi might have to take over the Senate in order to preserve the Republic. He soon learned that the problem was worse than he feared: Palpatine was really a Sith Lord. Windu and three other Jedi confronted Palpatine and attempted to arrest him. When Palpatine easily killed the three Jedi, Windu realized that he was too dangerous to be taken alive. Anakin Skywalker protected Palpatine, however, cutting off Windu's hand before Palpatine's Force lightning blasted him through a broken window. Windu had failed to detect Anakin's shatter point -- the thing that would lead him to the dark side to become Darth Vader. After his death, Mace Windu became the face of the treacherous Jedi Order; his attempt to kill an apparently helpless Chancellor made him an easy scapegoat. Later Jedi, however, rediscovered and revered him; in particular, Luke Skywalker taught himself and Jaina Solo the technique of perceiving shatter points. Although the character of Mace Windu didn't appear until the prequels, George Lucas used the name in one of his early concepts for Star Wars. 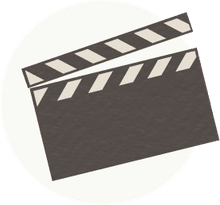 The name "Mace" was also used for a character in the made-for-TV Ewok movies, Mace Towani, and an alien in West End's Star Wars RPG, Macemillian-winduarté, used the nickname "Mace Windu." Samuel L. Jackson played Mace Windu in the Prequel Trilogy and in the animated film The Clone Wars. Jackson specifically requested that Windu wields a purple lightsaber in order to stand out -- making his the only lightsaber in the films that isn't green, blue, or red. Voice actors Terrence Carson and Kevin Michael Richardson have portrayed Mace Windu in the cartoon series and video games.